This top is essential for your weekend wardrobe. 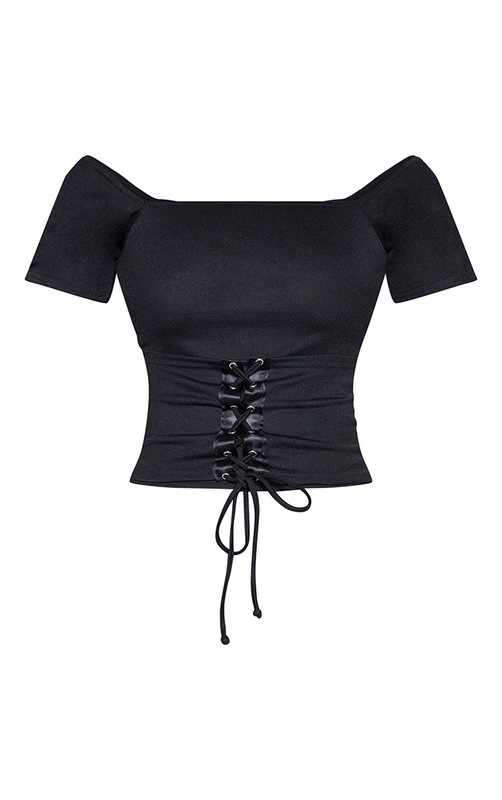 Featuring a black material with a corset detail and puff sleeves. Team this with some vinyl leggings and heeled mules for day drinks with the dolls.